This web page has been developed to make easily available some publications written by Paul Starkey and various collaborators. These publications are copyright and are being made available to assist those involved in development issues and related research. While individual copies may be downloaded for personal use, they should NOT be reproduced without permission. Some publications with photos are large or very large and in these cases warning colours and the file size will be displayed. Improved rural transport is needed to reduce poverty, improve livelihoods, increase economic growth and provide better access to health, education and other services. The work presented here is a methodology for the rapid assessment of rural transport services, and lessons from its pilot implementation in various provinces in Burkina Faso, Cameroon, Tanzania and Zambia. The work was commissioned by the World Bank, which hosts the Sub-Saharan Africa Transport Program (SSATP). The work was contracted to Practical Action Consulting (PAC) in collaboration with WSP. The implementing team comprised active members of the International Forum for Rural Transport and Development (IFRTD). The rapid methodology developed and used in these studies was designed to provide, at relatively low cost, an overview of the key rural transport issues within an area that would allow informed debate and subsequent policy action. It is hoped that these reports will stimulate useful discussion on how rural transport services can be improved and made more sustainable. The methodology was developed by a nine-person team that first met in Ethiopia in April 2005. The team comprised Paul Starkey (Team Leader, UK), Peter Njenga (IFRTD, Kenya), Stephen Newport (WSP, UK), Abdul Awadh (Tanzania), Gnanderman Sirp頨Burkina Faso), Guy Kemtsop (Cameroon), Henry Musonda (Zambia), Liz Tapper (PAC, UK) and Paul Murray (ORH, UK). Priyanthi Fernando, of CEPA, Sri Lanka, assisted with planning the methodology and appraising the results and conclusions. The reports include overview of the methodology, prepared by the Team Leader and published as SSATP Working Paper 87A. There is also a summary of the many lessons learned, and their implications for rural transport policy and practice. This was also prepared by Paul Starkey and is published as SSATP Working Paper 87B. These overviews draw on the five detailed provincial reports, relating to Boucle du Mouhoun, Burkina Faso (prepared by Dr Gnanderman Sirp马 Southern Province, Cameroon (Guy Kemtsop), Iringa and Singida Regions of Tanzania (Abdul Awadh) and Luapula Province, Zambia (Henry Musonga). Rural transport services in Africa: lessons from rapid appraisal surveys in Burkina Faso, Cameroon, Tanzania and Zambia. SSATP Working Paper 87B. Click for summary (230 kb). Les services de transports ruraux au Burkina Faso: le cas de la r駩on de la boucle du Mouhoun. A rapid assessment of rural transport services in Southern Province, Cameroon. Awadh A, 2007. 54 pages. Click for summary (pdf) 121kb. A rapid assessment of rural transport services in Singida Region, Tanzania. Awadh A, 2007. 53 pages. A rapid assessment of rural transport services in Luapula Province, Zambia. Musonda H, 2007. 70 pages. Click for summary (pdf) 230kb. Starkey P, 2001. Local transport solutions: people, paradoxes and progress. SSATP Working Paper No. 56. 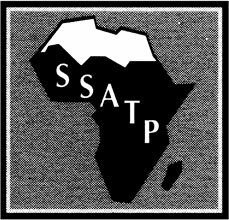 Sub-Saharan Africa Transport Policy Program (SSATP), The World Bank, Washington DC, USA. 74p. Starkey P, 2001. Les solutions au transport local: acteurs, exemples et contre exemples. Document de travail SSATP No. 56F. Programme de politiques de transport en Afrique subsaharienne (SSATP), Banque Mondiale, Washington DC, USA. 80p. Starkey P, Ellis S, Hine J et Ternell A, 2003. Am鬼/font>iorer la mobilit쯦ont>rurale: Solutions pour d鶼/font>elopper les transports motoris鳠 et non motoris鳠 en milieu rural. Banque Mondiale Document SSATP 72F, Banque Mondiale, Washington DC, E-U. 72p.